The Facebook Messenger got mobile payments back in 2015, now it has launched Group Payments that lets you send or receive money between groups of people on Messenger.To send, you can simply tap on the plus sign in the bottom left hand corner of a group conversation to find more features, and tap the payments icon ($). Then, choose who to send or request money from. You can choose everyone in the group or only a few members. Enter the amount you want to request per person or the total sum to divide evenly, either including yourself in the calculation or not. You can also specify what the money is for. Once you’re ready, you can tap Request. A message will appear in the group conversation showing who has paid that makes it easier to keep track. 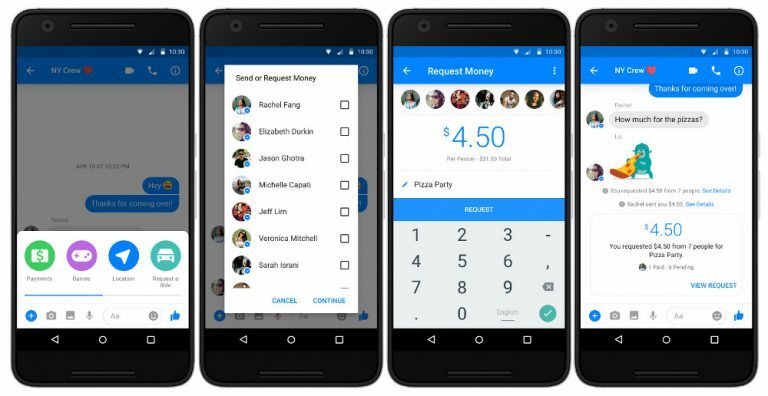 You can also view the Request Details in full-screen.Messenger group payments is available in the US for now on Android and desktop version of Messenger.